Variable mapping doesn’t have to be hard. 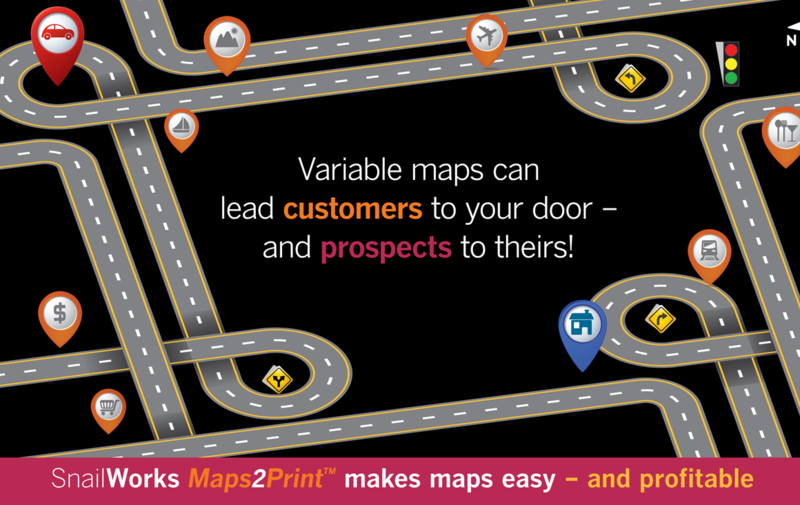 Maps make direct mail more effective – there’s no doubt about it. Businesses, from health care facilities to retail outlets to auto dealers, know that when you draw a map from the prospect’s home to their business they are much more likely to go there. Today’s technology makes it possible to print a unique map on each piece of mail. But it hasn’t been easy…or affordable. Much less expensive than existing solutions.